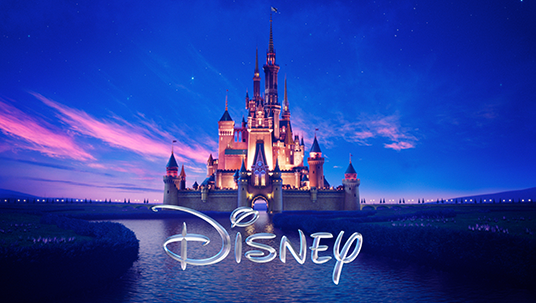 For more than 90 years, Disney films have been exciting, enthralling, and entertaining moviegoers… And The Walt Disney Studios are gearing up to do exactly that for Disney fans at D23 EXPO 2015. 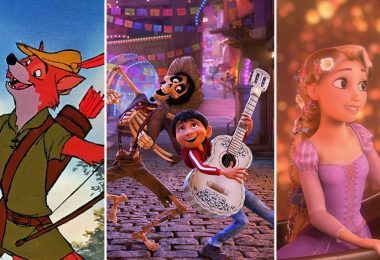 The Studio has just announced its lineup for D23 EXPO 2015, taking place August 14–16 at the Anaheim Convention Center, and it’s packed with sneak peeks and exclusive presentations and experiences you won’t see anywhere else. The Studio will unveil its animation and live-action film slates via two huge Hall D23 presentations featuring surprise guests and many unforgettable moments. 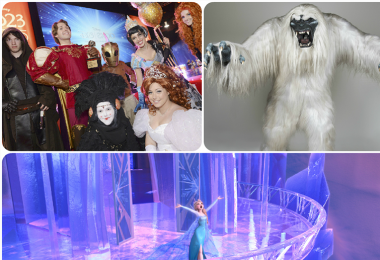 Other not-to-be-missed events include a Frozen FANdemonium musical celebration with Kristen Anderson-Lopez and Robert Lopez and the 20th anniversary celebration of Disney•Pixar’s Toy Story with John Lasseter and the original Pixar crew. After meeting the Emotions inside the mind of an 11-year-old, taking a trip to San Fransokyo, where a boy genius and his robot save the world, and falling in love with a queen with icy powers who wants to “let it go,” come see where Walt Disney and Pixar Animation Studios plan to take you next. In what has become a D23 EXPO must-see, host John Lasseter, chief creative officer of Walt Disney and Pixar Animation Studios, presents this in-depth look at the animation studios’ slate. Filmmakers will unveil never-before-seen footage from Pixar’s upcoming The Good Dinosaur and Finding Dory and Disney Animation’s Zootopia and Moana. The event will include surprise announcements, musical performances, and appearances by the films’ star voice talent. Disney, Marvel and Lucasfilm are home to some of the planet’s best storytellers, immersing audiences fully in the world of each film from beginning to end and beyond. In this exclusive Hall D23 presentation, join Walt Disney Studios Chairman Alan Horn for a tour of upcoming live-action projects from these legendary film studios. 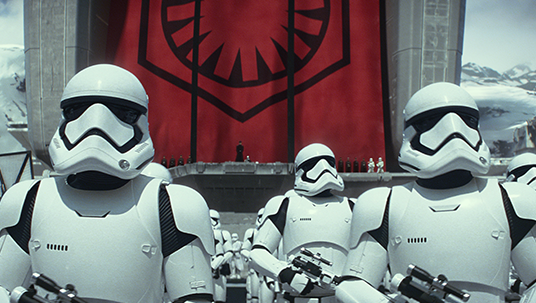 A bevy of special guests will be on hand to offer a look at an unparalleled slate that includes Alice Through the Looking Glass, The Jungle Book, Marvel’s Captain America: Civil War, Star Wars: The Force Awakens—and much, much more. 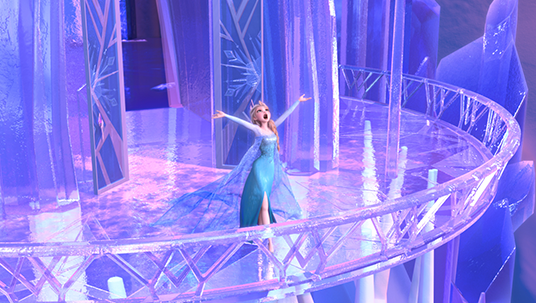 Frozen FANdemonium: A Musical Celebration! Join host Chris Montan, president, Walt Disney Music, and the Oscar®-winning songwriting team of Kristen Anderson-Lopez and Robert Lopez as they take you on a once-in-a-lifetime musical journey through the world of Frozen. This one-day-only performance features your favorite friends from the Walt Disney Animation Studios film—including Anna and Elsa––with sing-along experiences and fascinating stories behind some of your favorite Frozen songs. Get the inside story on the making of Pixar’s latest summer release, Inside Out. Hear from Academy Award®-winning director Pete Docter (Up, Monsters, Inc.) and producer Jonas Rivera (Up) as they reminisce and share their personal stories of creating a world that everyone knows, but no one has ever seen. Welcome to Zootopia, a magnificent mammal metropolis, and home to Walt Disney Animation Studios’ next feature, the comedy-adventure Zootopia. Join directors Byron Howard (Tangled, Bolt) and Rich Moore (Wreck-It Ralph), producer Clark Spencer (Wreck-It Ralph, Bolt), and artists from the incredible production team as they introduce rookie rabbit-officer Judy Hopps, con-artist fox Nick Wilde and a host of dynamic animal characters, sharing footage and behind-the-scenes stories with D23 EXPO-goers. 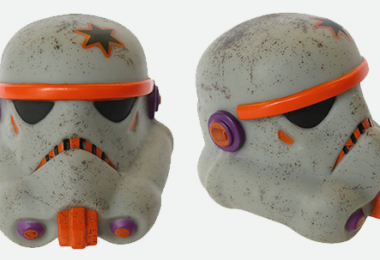 Ever wonder where your favorite Pixar stories began? Hear the stories you don’t know about the classic films that you love. Pixar senior development executive Mary Coleman hosts this experience, welcoming the storytellers behind some of Pixar’s most successful films, including Darla K. Anderson (A Bug’s Life, Monsters, Inc., Cars, Toy Story 3), Mark Andrews (The Incredibles, Ratatouille, Brave), Ronnie del Carmen (Up, Inside Out), and Dan Scanlon (Cars, Toy Story 3, Monsters University), as they talk about the twists and turns of crafting a narrative and share some of the crazy story ideas that didn’t make the final cut. From flipbooks to feature films, animation has taken audiences to fantastical new worlds, far beyond the limits of any real-world setting. Pixar Animation Studios has been at the forefront of this evolution, blurring the line between art and technology and bringing beloved characters to life with heart and humor. As we celebrate the 20th anniversary of 1995’s Toy Story, the first computer-animated feature film, join members of the original crew, including filmmakers John Lasseter, Pete Docter, Andrew Stanton, Lee Unkrich, Galyn Susman, Ralph Eggleston, Sharon Calahan, Eben Ostby, Bob Pauley, and Bill Reeves as they share their stories and the challenges they faced along the way. Join Walt Disney Animation Studios filmmakers, including legendary directors John Musker and Ron Clements, animators Eric Goldberg (Genie), and Mark Henn (Jasmine), as well as Jasmine herself, Linda Larkin, and the two actors who gave life to the character Aladdin: Scott Weinger and Brad Kane, as they unveil the stories behind one of the great Disney classics, Aladdin, a film that led to a “whole new world” for animation. When Walt Disney and his brother Roy founded the Disney Brothers Studio in 1923, their first medium for storytelling was the animated short. 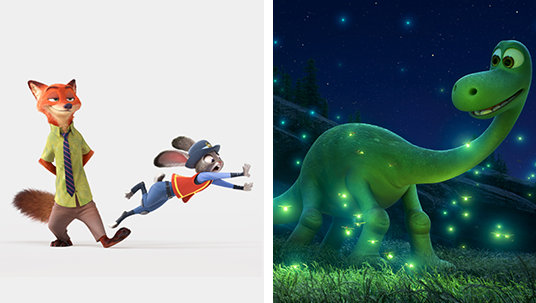 More than 90 years later, Walt Disney Animation Studios continues this tradition, making groundbreaking and award-winning shorts including Feast, Paperman and this year’s hit Frozen Fever. Join the filmmakers behind these shorts and so many others, including Get A Horse!, John Henry, Lorenzo, and The Ballad of Nessie for a conversation about this truly animated art form. D23 EXPO invites you to a special screening and Q&A panel for The Tunes Behind the Toons, a short form documentary that celebrates the power of music in animation. From the silent film days when organists played live accompaniments, to the music within today’s animated features, this documentary traces the origins of cartoon music and its pioneers. Featuring interviews with Alan Menken, Randy Newman, Patrick Doyle, Mark Watters, Bruce Broughton, Richard Sherman, and many others. Producer/director Dave Bossert will lead a star-studded Q&A following the presentation. 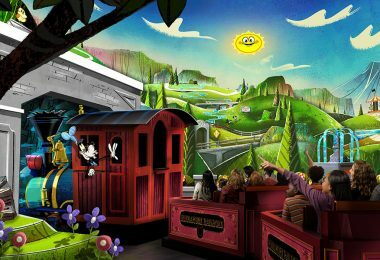 For the first time at D23 EXPO, Walt Disney and Pixar Animation Studios have created a joint experience no Disney fan should miss. With live demonstrations, presentations, and autograph signings with top filmmakers from each studio, plus free giveaways and interactive displays featuring the films Inside Out, The Good Dinosaur, Zootopia, Finding Dory, and Moana, this is a can’t-miss attraction for animation fans. 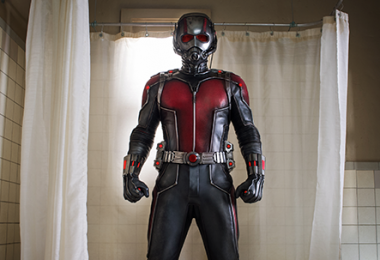 Explore costumes, props and photo ops from the Studios’ live-action films, including Disney, Marvel, and Lucasfilm. Take pics and share them in the Disney Movies Anywhere Tweet Suite. 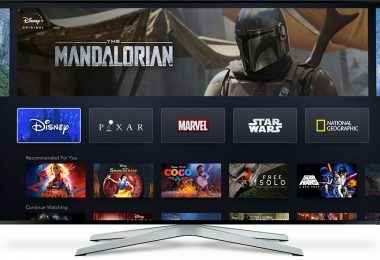 It’s also the perfect opportunity to learn more about Disney Movies Anywhere, Disney’s digital movie app that lets you watch your Disney, Pixar, Marvel, and Star Wars movie collection across your favorite devices, anywhere you go. D23 hosts the first public exhibition anywhere of “An Animator’s Gallery: Eric Goldberg.” Celebrate Goldberg, whose artistry at Walt Disney Animation Studios began with his groundbreaking work on Genie in Aladdin, and continues to this day on projects such as the upcoming Moana and the 2014 Oscar®-nominated Mickey Mouse short Get A Horse! The exhibition features a collection of more than 100 of Goldberg’s caricatured creations of Disney characters, drawn in a style reminiscent of art seen on the famed walls of Sardi’s Restaurant and The Brown Derby. This incredible collection of art is from the newly released book An Animator’s Gallery: Eric Goldberg Draws the Disney Characters, and will be available for purchase in the Walt Disney Publishing pop-up shop on the EXPO show floor. With the purchase of Frozen: The Songs or Frozen Picture Disc at the Disney Music Emporium, guests will be issued a wristband to secure a space for an album signing with Kristen Anderson-Lopez, Robert Lopez, and Tom MacDougall (Co-Producer, Frozen Soundtrack) on Friday, August 14 at 10:30 a.m.
Tickets for D23 EXPO 2015 are $74 for a one-day adult admission and $54 for children 3–12. Tickets for members of D23: The Official Disney Fan Club are $65 for a one-day adult admission and $48 for children. Multi-day money-saving tickets are also available. D23 Members can save as much as $112 off the price of admission, based on the purchase of four three-day tickets at the D23 Member rate. For more information on tickets and the ticket pricing structure for D23 Members and general admission, visit D23EXPO.com. 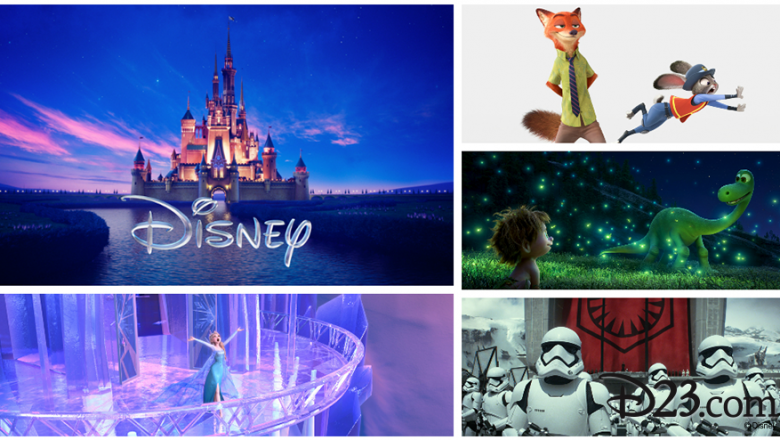 What are you most excited to see at D23 EXPO 2015?